There’s just something about wood grain. I love it! And sometimes you just have to let it shine. Hey friends! It’s themed tour Thursday and the theme this month is “Words/Letters”. 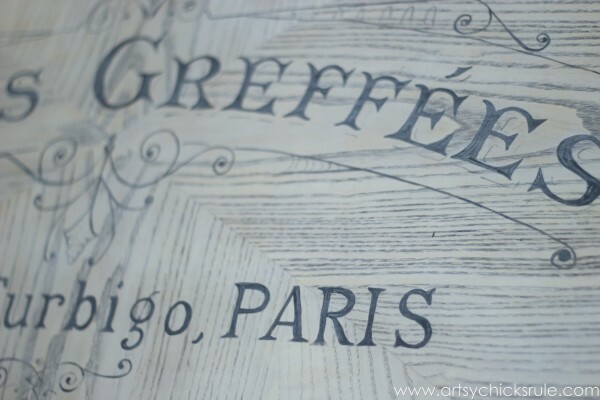 And what’s better than a little French typography?? I’m a words, letters, graphics, typography loving girl (as is evidenced by this blog AND my home ;) ) so I am really excited about this month’s theme. 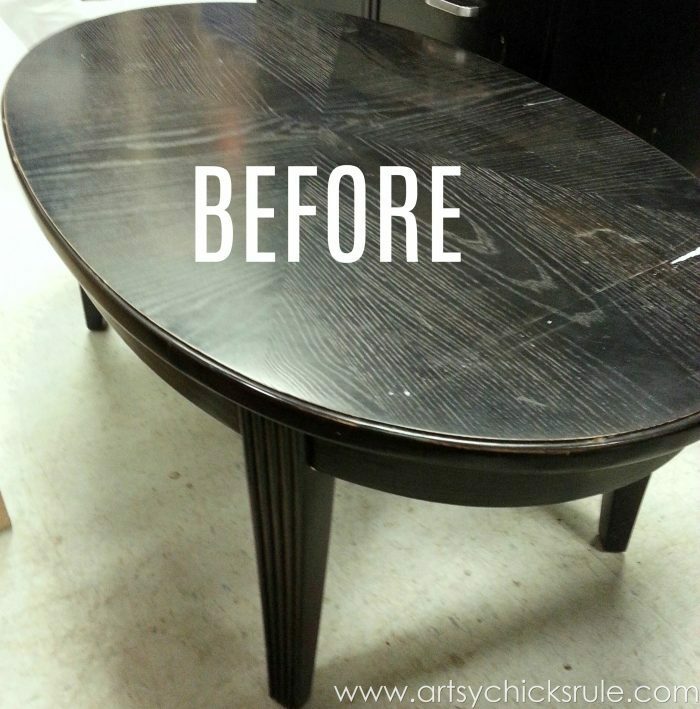 For anyone new, some blogger friends and I get together every month and bring you a themed furniture makeover. 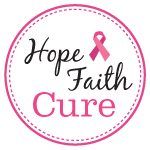 You can see past month’s themes –> here. It was a bit beat up but nice and solid. But who could pass that up for $6??? I knew I’d need to sand (and I hate sanding) but sometimes it’s just a necessity. But just look at that. Gorgeous without doing another thing! I was actually liking the way the grain held onto the black in the top and how it was looking sort of “bleached”. I originally thought I’d leave it that way until I wiped it down…and it looked YELLOW. So I whitewashed it instead. 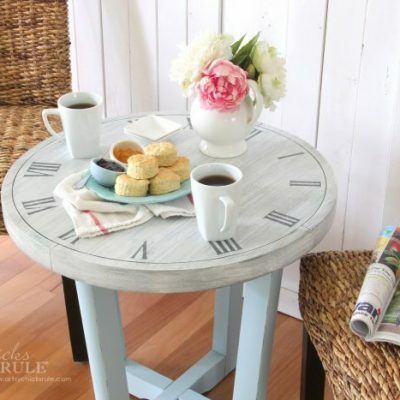 I mixed up a little “Old White” Annie Sloan Chalk Paint and water and applied like so. Now it will stay more “bleached” looking (white) once I put the sealer on top. Next I set up my projector (that I got off of Craigslist for around $40) and began transferring the image. I printed out this graphic from The Graphic’s Fairy onto clear label paper to use on the projector. If you don’t have that, you can have Office Max, or the like, print one out for you. It only cost pennies..or a couple of quarters. I don’t remember but it wasn’t much last time I had them do one. 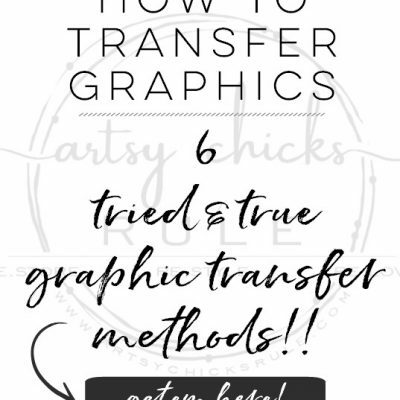 This is such a great way (and still my favorite way) to transfer large graphics onto something. I used a black Watercolor Pencil to transfer the image. 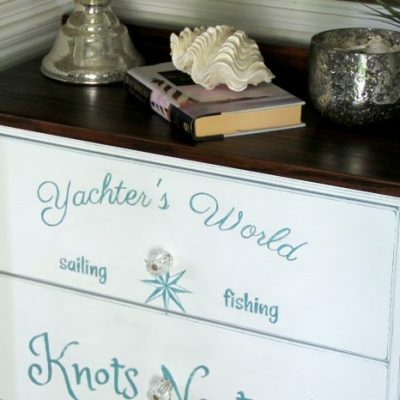 I used this same method on my Coastal Themed Dresser and this Estate Sale Sideboard. 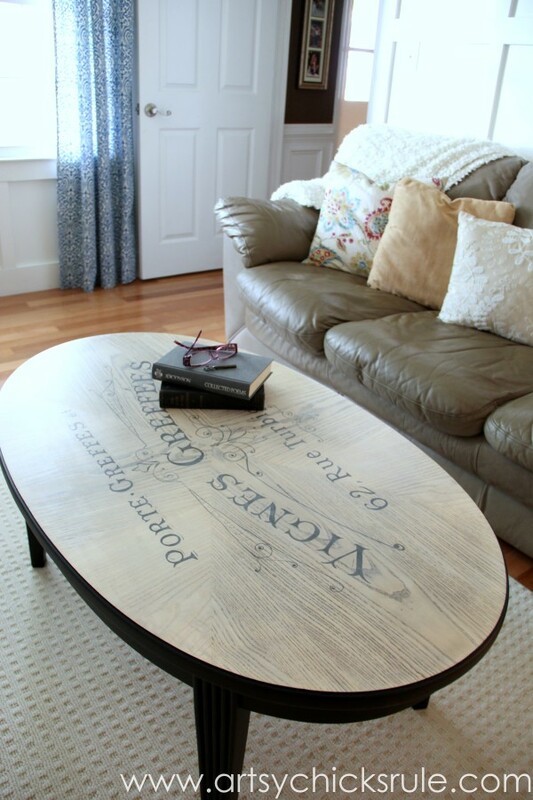 I then hand painted it in using “Graphite” Annie Sloan Chalk Paint and a script liner brush (they are my absolute favorite for doing any kind of lettering)….. Put on some music you like, get comfy and just start painting “in the lines”….before you know it, you are done. 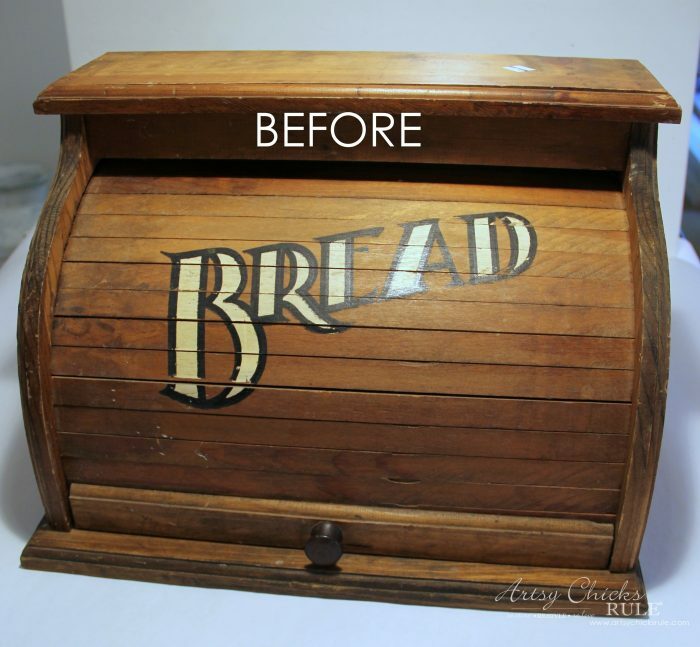 I very lightly sanded the typography and then I added a bit more “whitewash” over the entire top. See below…the lettering is a bit softer now. I sealed the top with General Finishes Gel Topcoat. Some close up shots of the top…. 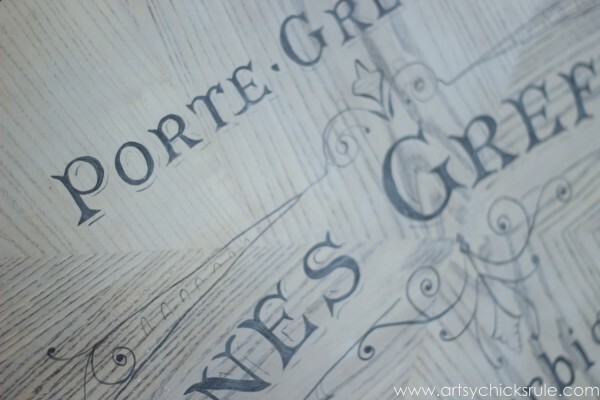 I like how the whitewash ended up looking on the black letters…almost antiqued looking. I just LOVE that Lamp Black. And it applies so smoothly…. and is a nice, true, dark black. …and that gorgeous wood grain pattern I love so much. 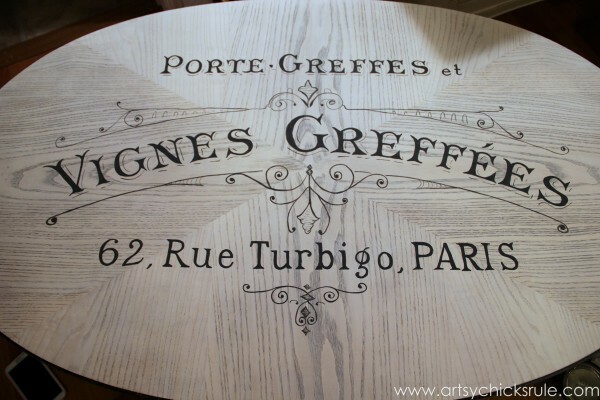 PIN this (truly simple to do) French typography project for later!! Be sure to check back later this week to see what I did to this old beauty! Looks great Nancy! 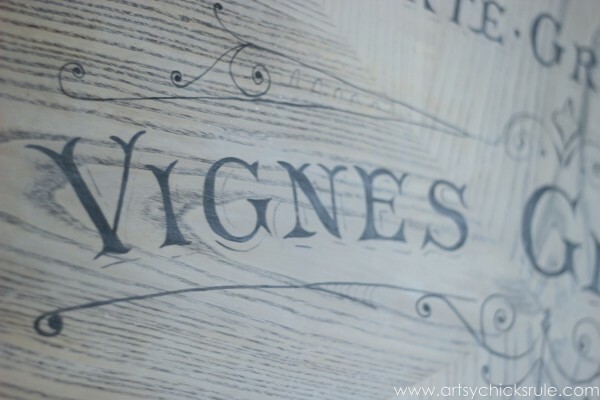 I love the wood grain as well and think the typography stands out on it! Great project. 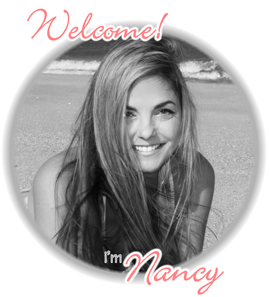 Beautiful job Nancy! I know this had to have taken some time, but it was worth it! Love the whitewashing! Thank you Shanna! :) It did but I don’t mind!! Nancy! I just love it! Of course I love anything FRENCH! That turned out fabulous. Love those projectors for these projects too! Thank you Karin! :) I know!!! lol You and me both! The wood pattern is gorgeous! 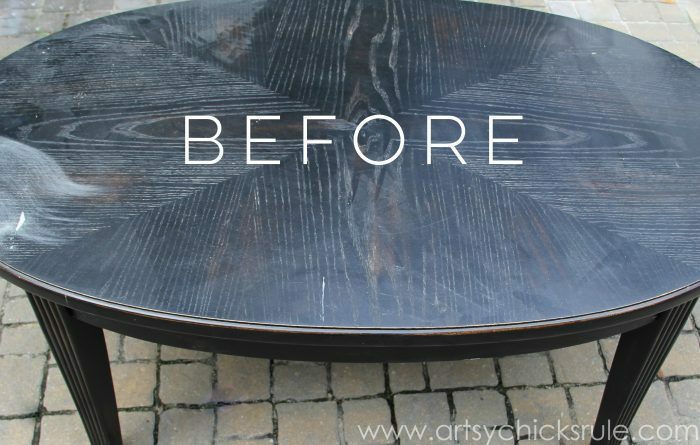 I’m glad you needed to sand it so that beautiful pattern could show through! The white washing is so beautiful and subtle as well! Awesome job! 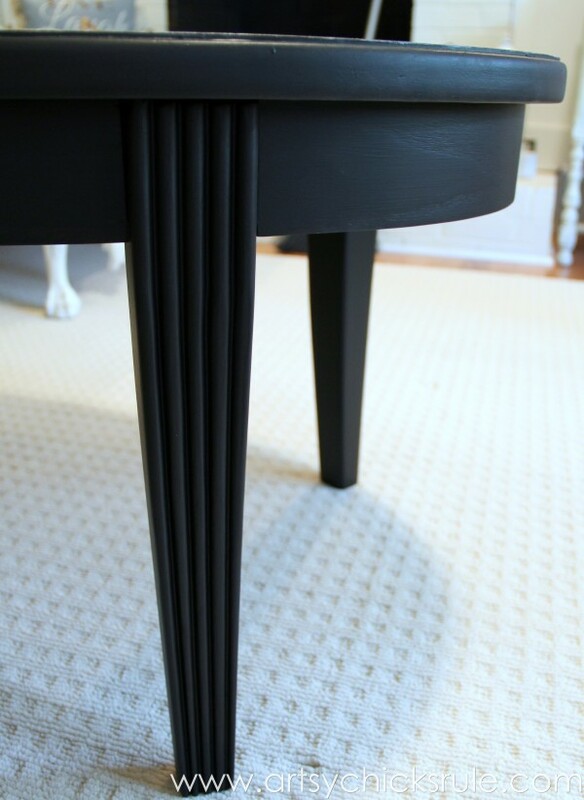 Love the contrast with the lamp black and the natural wood grain (and a pretty wood grain it is). Very nice makeover Nancy! I found a great little projector at Michaels for $40.00 (with coupon) and I haven’t used it yet. 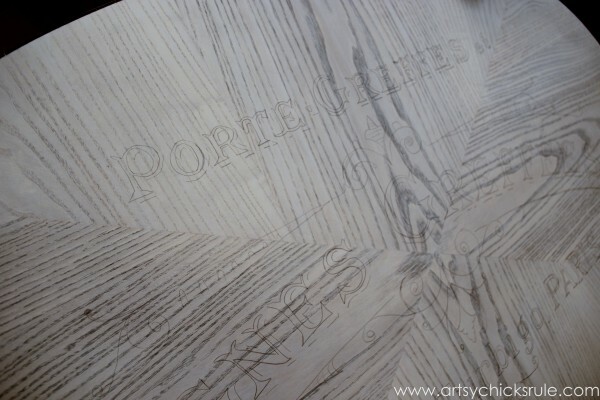 I seem to gravitate towards block printing my graphics on my laser and tracing it with graphite paper. Thanks for the reminder that a) I have that little projector collecting dust in the corner of my workshop and b) that it would save me a step! 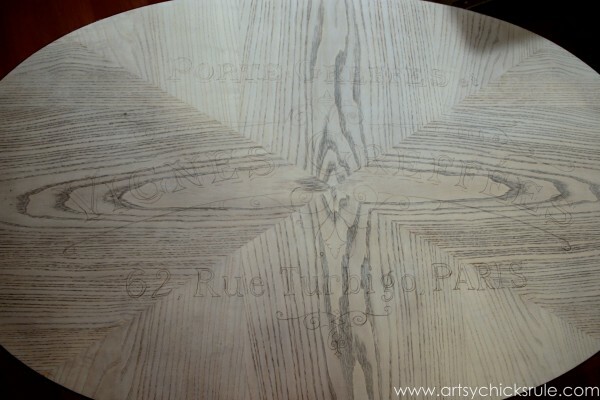 I love the wood grain showing through – white washing was a great idea! I finally got a projector too and used it for the first time on my TFMD project. ;) Oh- and I agree about it being therapeutic! Thanks Jen!! :) Yay!!! I love my projector! Thank you Chris! :) That wood grain is awesome if I do say so myself! lol Really, it makes the table, in my opinion. do not worry , i ‘m french . the translation is good. it’s just an advertisement for vines. and I wish to congratulate you! 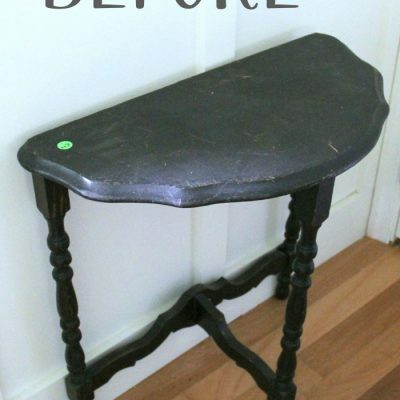 You did such a nice job on this table makeover. I always learn a technique from your furniture posts. 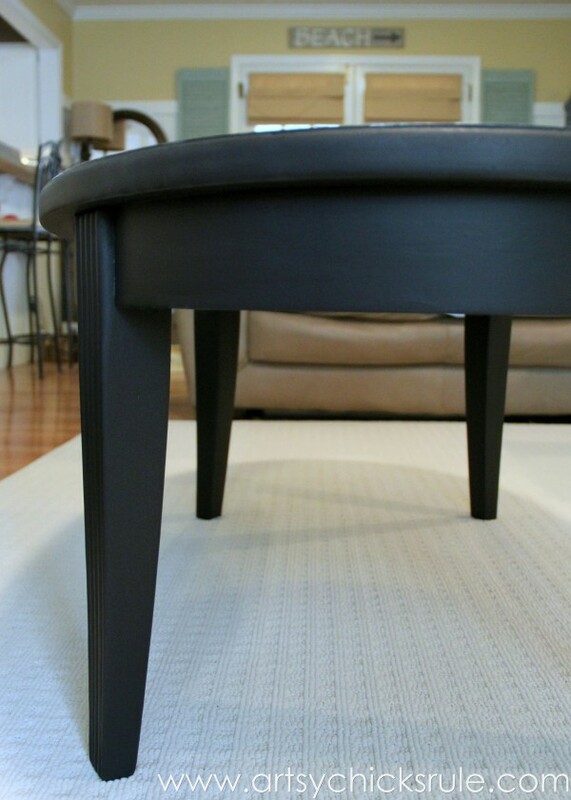 You got that table for an amazing price and now it’s a real conversation starter in your living room. 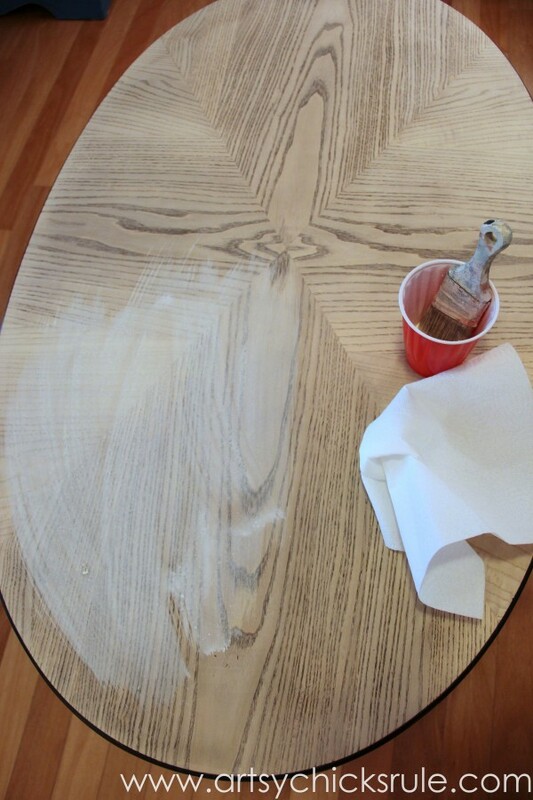 Great table just love the wood grain shinning through and your idea for white washing! 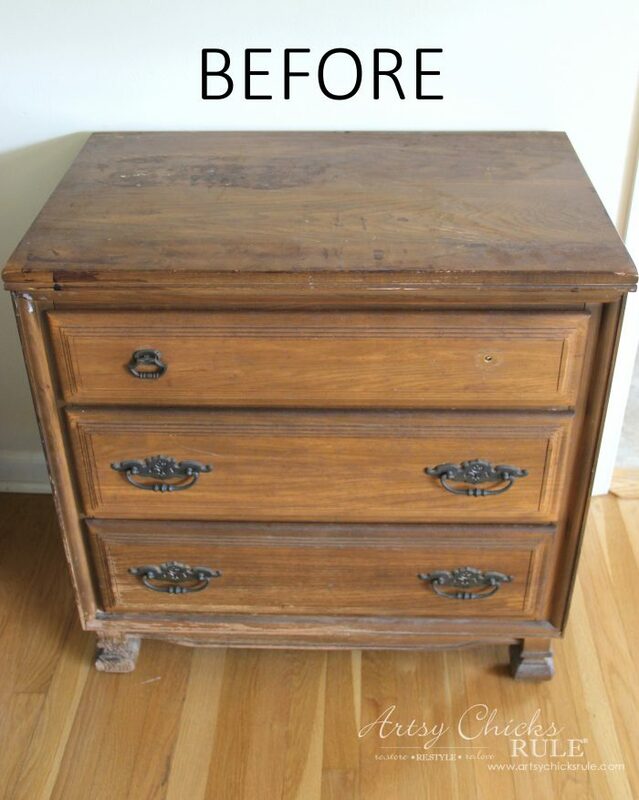 I have a toy chest I have painted and wanted your suggestion for a top coat. 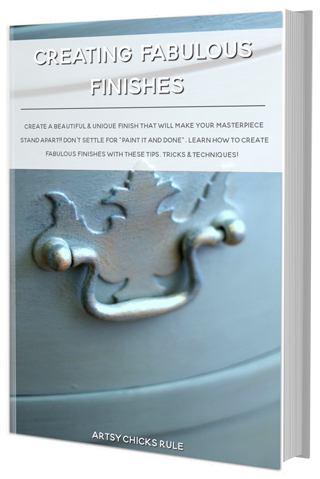 Would you suggest using General Finishes Gel Topcoat in Satin? Oh yes..yes, yes, I am loving that topcoat. I think you will like it too. It is easy to apply also which is a major plus! 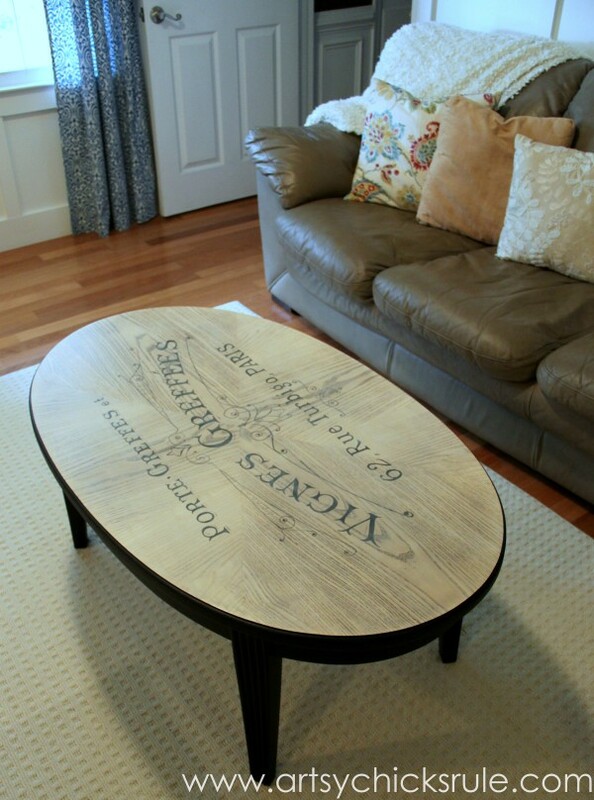 Awesome table Nancy! 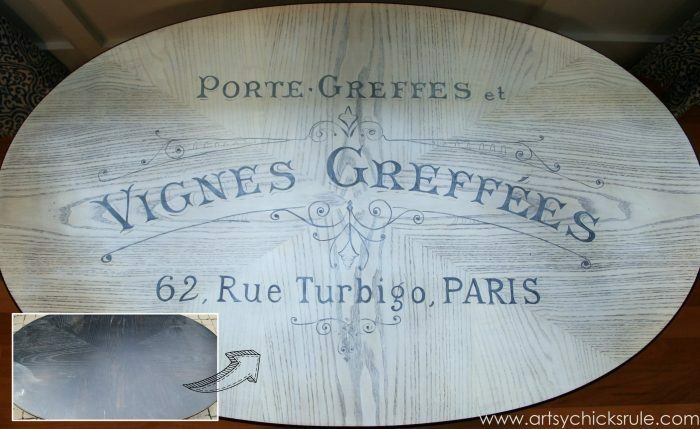 It reminds me of a big ole wine barrel with that beautiful wood grain showing threw the French script. And I love how you can really appreciate it with your white washing technique. Lovely! LOVE the grain peeking through! Just beautiful! Thanks!! :) That is my favorite part! Absolutely beautiful, Nancy. You take so much time with your work and it shows. Thanks for sharing your talents. I am inspired. Make it a wonderful weekend, my friend. Do they still sell overhead projectors at office supply stores? I must get one! I would bet so! I would also bet you can find a bunch on Craigslist too for much cheaper! Take a look! Nancy, I love this and love how you can still see the grain through the wash. Beautiful! 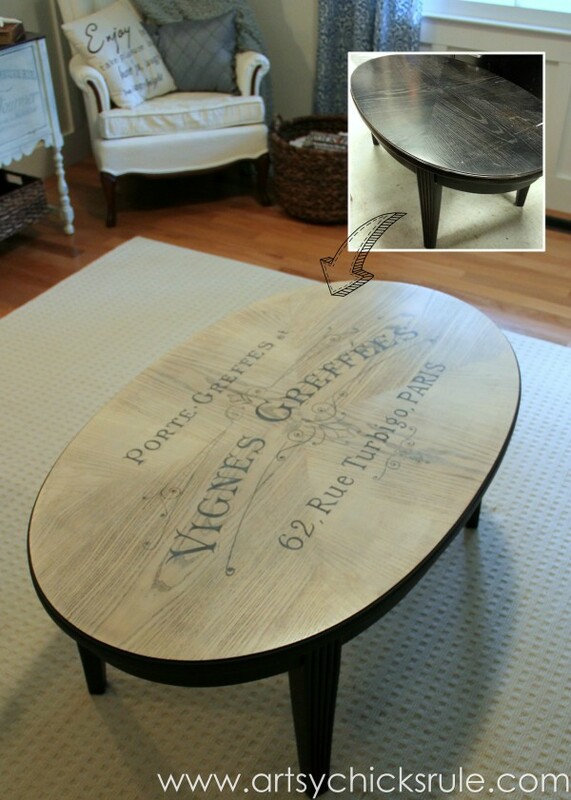 LOVE your table !!. 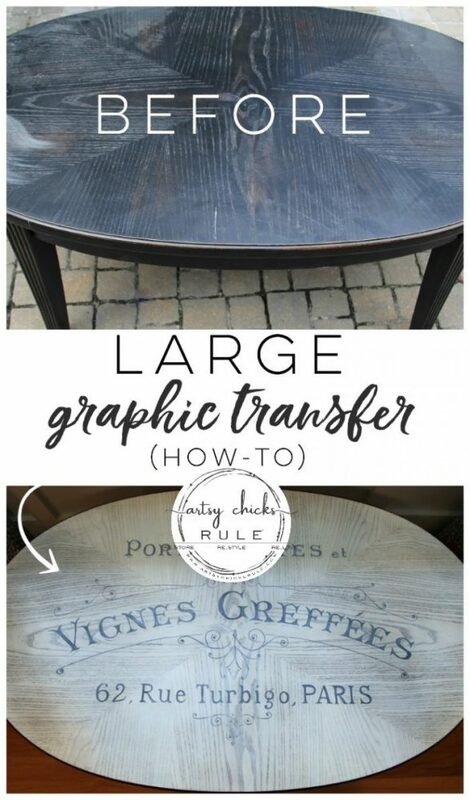 Thankyou so much for the easy, clear directions on how to transfer the image onto the table. I am interested in the Gel Topcoat that you used, but one question. I am always having such a “freak-on”, when anyone places a glass or mug onto my tables that I have chalk painted. Even though I waxed them they seem to be able to chip a little where the grand child plays with toys. Would this gel topcoat give a better protection than the waxes?. I am ready to order some, but am hoping to hear from you first.. LOL Again.. beautiful table !! 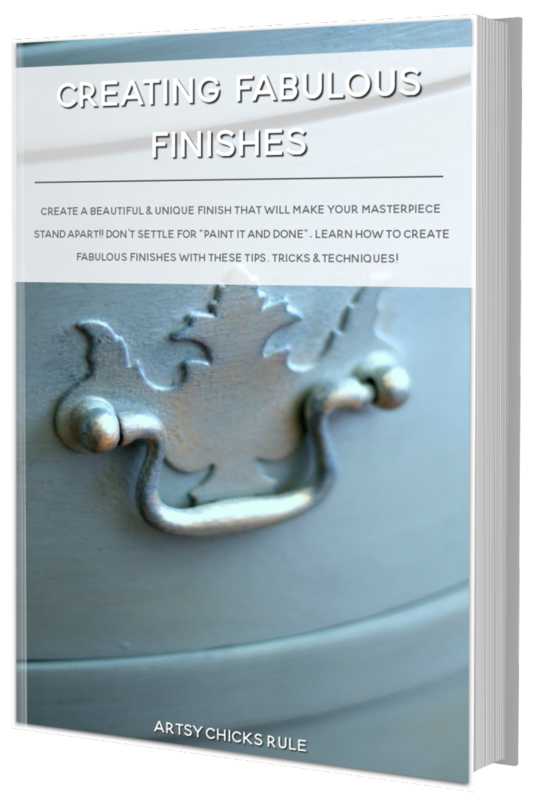 If you are going to have something used as described, I would lightly sand, then apply the Chalk Paint, then apply 1-3 coats of the Gel topcoat. I love a wax finish, and it has it’s place, but I’m really enjoying this Gel Topcoat! It’s SOOO easy to apply. I think you will like it! 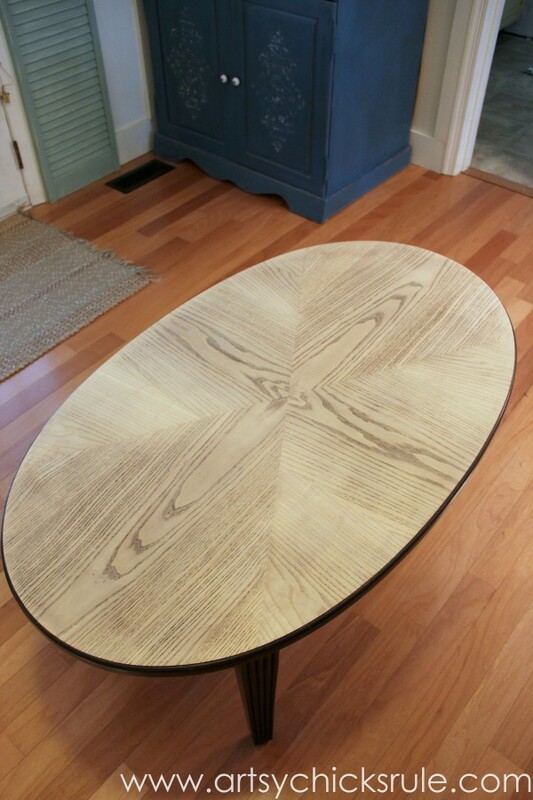 Loving that table, legs, shape, and of course the grain. And the $6 price tag, awesome. 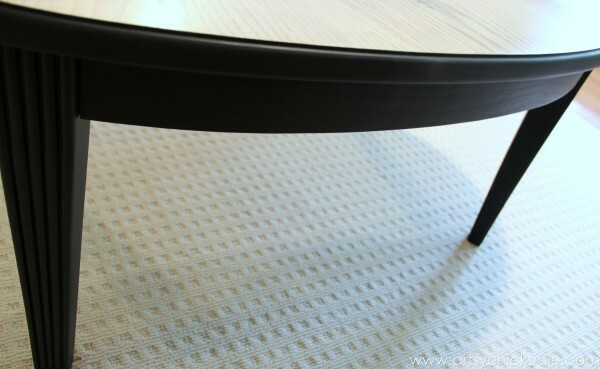 White washing was stroke of genius, no kidding, makes that table more awesome. 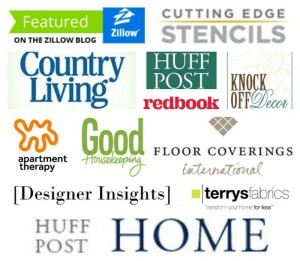 You’ll have all of blog land buying projectors, sure makes using typography much easier. Don’t know how I’d do trying to fill in but would sure make it worth while. 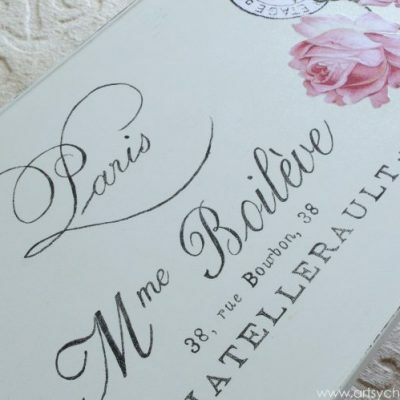 I bought an Americana stencil with French wording at Michaels which was $9.99 but had 50% off coupon, it’s a nice size, wording is for a bakery. I have a table to redo so thought I’d use the stencil. Thanks so much! 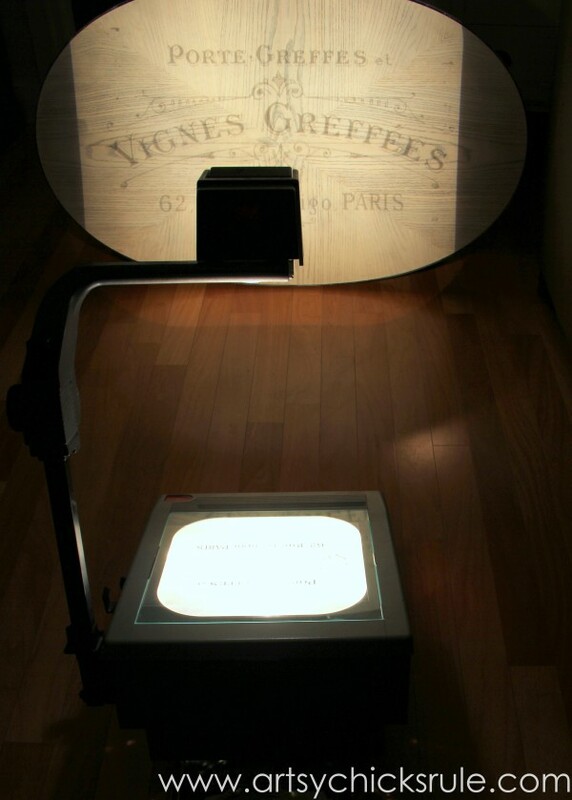 If you wanted to try projecting and then filling in, you can also use paint pens which are a little easier to use. I just like the look of the painted with a brush a bit better so do that most of the time. But it’s worth a try! The gold legs sounds like a pretty touch! And aw, you really are too kind!! :) Thank you for the sweet words. I don’t know that I am an expert but I love creating and helping others do the same! 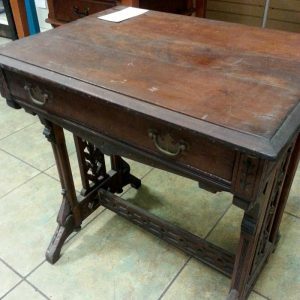 Love the table and your directions are great! With the graphite paint , do you dilute or use it straight. Is the script liner brush something you can get at Michaels? Thanks so much! Yes, I usually will dilute it a little bit because it’s much easier to work with that way. And yep, you can get the script liners at any craft store. I got mine at Michael’s or AC Moore. What brand is the lampblack? I would like you use it in a buffet. 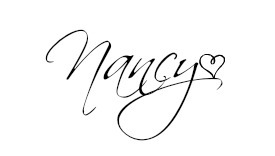 I really love this Nancy! It is just stellar! Hi! How do I get a graphic from Office store. I understand the paint process. 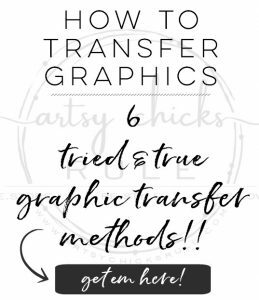 Do I take a picture from graphic fairy site or do I have to download a picture on my phone. Not sure what to do. I have no projector. Any help would be greatly appreciated! I’m new to all this. Thankyou so much. Nancy, how do you sand the top when there are different grain directions? Your work is stunning! Thanks for sharing.